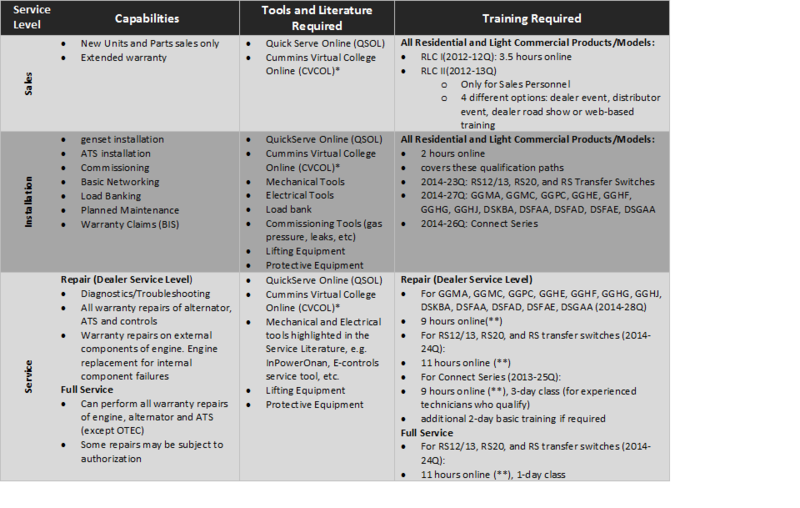 Below is a matrix which explains the training certifications required for different service levels. ** Includes 2 hours of installation training. Did you know that more experienced technicians can test out of Connect Series classroom service training? Contact your local distributor to see requirements. Still need help? Go to the Help section on the Cummins Learning Center or contact your distributor.